The first start-to-finish, step-by-step guide to modeling and designing SOA. Using Service-Oriented Architecture (SOA), enterprises can deliver high-value business services more rapidly and effectively, and gain unprecedented flexibility and value from existing IT infrastructure. SOA has earned the support of virtually every major software provider, and some 75% of enterprises surveyed are now investing in SOA technology and expertise. 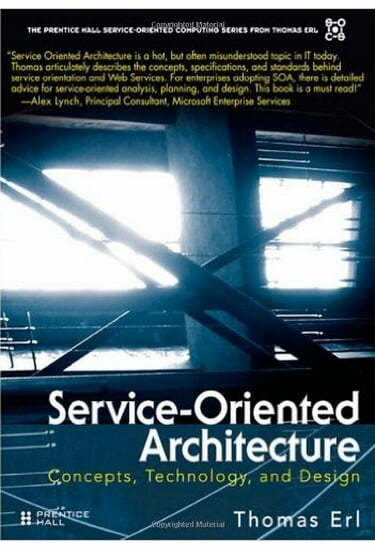 In Service-Oriented Architecture: Concepts, Technology, and Design, the author of 2004's best-selling SOA book presents the first end-to-end-tutorial for modeling and designing successful service-oriented architectures from the ground up. Writing in plain English, Thomas Erl provides step-by-step process descriptions for analyzing and designing any service or service-oriented business process definition.